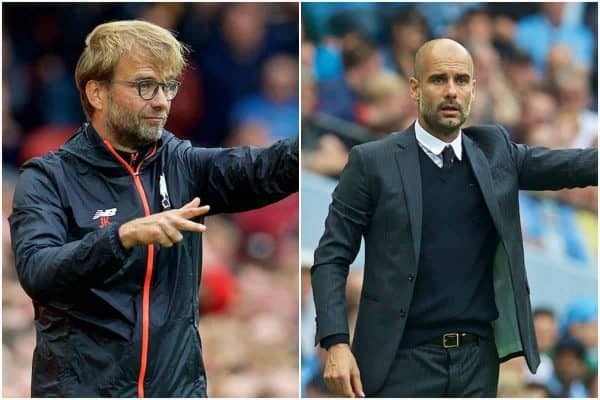 In Jurgen Klopp and Pep Guardiola, the Premier League boasts two of the most exciting and innovative managers in the modern game, but just how similar are they? After hanging up their boots, both men took to the training pitch at the clubs where they’d made their names as players. Guardiola was appointed head coach at Barcelona’s B team, taking on the task of producing first team players at the academy where he himself had developed as a footballer. Klopp went straight from the pitch to the dugout at Mainz 05, appointing former team-mate Zeljko Buvac as his assistant, and Peter Krawietz as his chief scout. The pair remain with him to this day. While Klopp had to work his way up from modest Mainz to Borussia Dortmund to reach the upper echelons the game, Guardiola was able to progress from within at Barca, as he had done as a player. Many of the players managed by the Spaniard in the B team ended up joining him in his all-conquering side which one three La Liga titles, two Champions Leagues, and two World Club Cups. 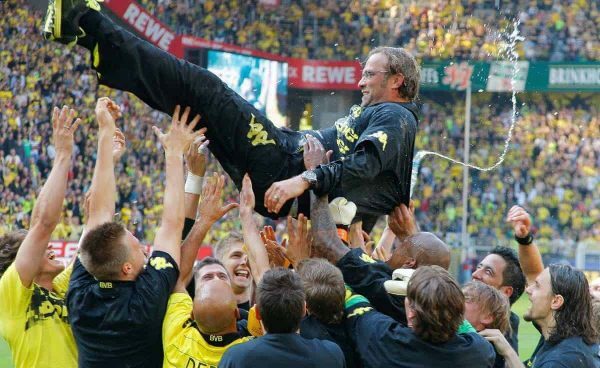 Klopp, on the other hand, was rebuilding a broken Dortmund, with whom he eventually won two successive Bundesliga titles and also reached a Champions League final. 49-year-old Klopp has been managing since 2001, whereas Guardiola, now 45, didn’t take the reins at the Barcelona first team until 2008, but both managers have studied the game from their time as players to the present day. The pair may have been influenced by different role models and mentors throughout their careers, but there are parallels when it comes to the ideas they absorbed. These influences can help explain the similarities we see on the pitch today. As a player, Guardiola had two main role models and mentors. The first was Johan Cruyff, under whom he was promoted to the Barcelona first team, winning four league titles and a Champions League. Cruyff’s work is widely covered and needs no additional explanation here, but the work of Guardiola’s second big influence from his playing days, Juan Manuel Lillo, is less documented. The pair worked together at Dorados de Sinaloa in Mexico, where coach “Juanma” would spend hours discussing football with his player and friend. Juanma was the go-to man for the aspiring coach when it came to the hands on details of training drills and defensive organisation. Their friendship was built on an ability to talk endlessly about the game, and Guardiola learnt practical skills and problem solving ability from his fellow Spaniard in Mexico. Likewise, Klopp learnt many tactical intricacies from one of the game’s lesser known names — his coach at Mainz 05, Wolfgang Frank. Frank turned aimless closing down into organised pressing in zones, and the former striker was one of the first to bring this style of football to the German leagues. Klopp spoke to The Guardian before Dortmund’s 2013 Champions League final v Bayern Munich at Wembley. 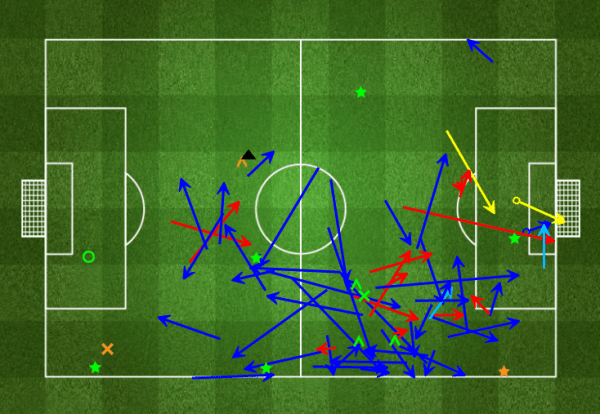 “Even though we were in the second division we were the first German team to play 4-4-2 without a libero,” he said. “We watched this very boring video, 500 times, of [Arrigo] Sacchi doing defensive drills, using sticks and without the ball, with Maldini, Baresi and Albertini. The processes and philosophies of both managers were being fined tuned even before they took to the training pitch. 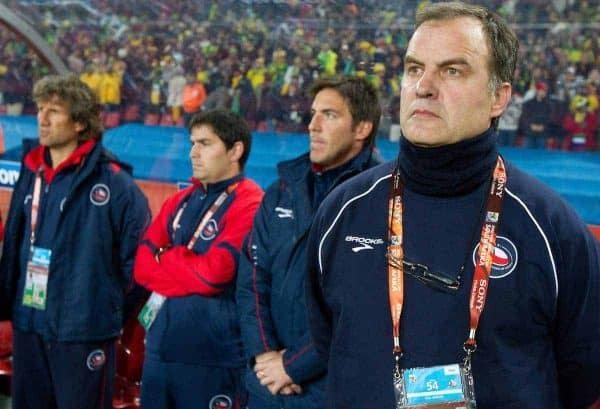 Klopp had already been introduced to the pressing game of Arrigo Sacchi via Frank, but for Guardiola it wasn’t until he travelled to see Marcelo Bielsa in Rosario, Argentina, that a new dimension was added to the football he’d learnt under Cruyff. “He came with his idea and left with his idea,“ said the Argentine World Cup winning manager Cesar Luis Menotti, who Guardiola also met on his travels in Argentina. “I was tired of talking with young coaches who come looking for the truth. Pep did not come looking for an answer. He already knew it,” added Menotti. While he already knew plenty, Guardiola picked up a few key ingredients during an eleven hour meeting with Bielsa. Pressing was part of their discussions, but pressing is as much about an overall mentality as it is about a style of football. If players don’t buy into this mentality or if they simply don’t get the style, then they’ll be cast aside. Joe Hart and Yaya Touré at City, and Mamadou Sakho and Christian Benteke at Liverpool are among the more high profile names who can attest to this. Attitude, effort, inspiration and application: along with his fabled gegenpressing, these are facets of the game which Klopp has also become synonymous with. Klopp is meticulous with his preparation and, like Guardiola, gets his team playing in a certain way by allowing his players to internalise and understand his methods. This way they can make the right decisions at regardless of the game situation. They’re methods we see to this day, and they’re there for all to see as the two managers take their place in the highest profile league in the world. 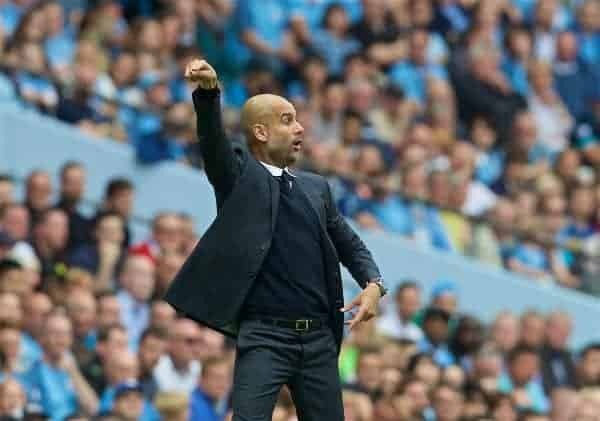 As well as the methodology, the philosophies, and the man management; Klopp and Guardiola have displayed other similarities since arriving at Liverpool and Manchester City respectively. While the shape of their teams can depend on the opposition they happen to be facing on a particular day, there have been some parallels when it comes to the basic setup. A back four is used by both, and though Guardiola dabbled with his old Bayern Munich trick of moving the full-backs into midfield when attacking, in most games they’ve providing support out wide. In Joel Matip and John Stones, the teams have centre-backs who also like to step into midfield if a teammate isn’t immediately available for a pass from defence. If Loris Karius’ displays of sweeping against Derby and Hull City are anything to go by, then both sides have keepers who aren’t afraid to join the outfield — though this trait more associated with Guardiola than it is with Klopp. 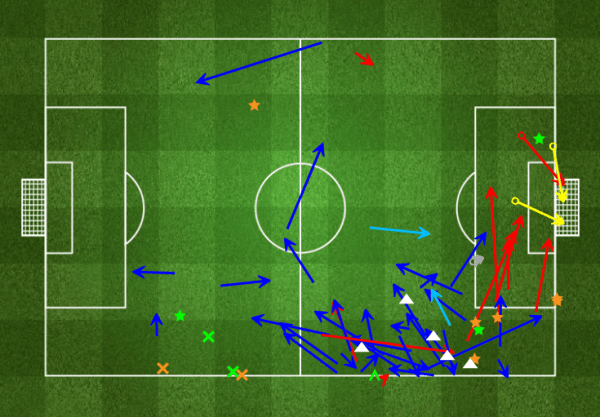 In midfield, a holder sits in front of the back line — see Fernandinho and Jordan Henderson — while two attacking midfielders run between the boxes. Kevin De Bruyne recently described his role as a “free eight”. These players are given license to attack and create when their side have the ball, but they’ll sit in midfield to maintain the shape when they lose it. These all-encompassing midfield positions are important when it comes to pressing, and the rest of the team will often have no choice but to follow the lead of the likes of Ilkay Gundogan, Kevin De Bruyne, Georginio Wijnaldum, and Adam Lallana, else gaps will appear. Out wide, the wingers are also vital to the pressing game, but they’ve been even more eye catching when stretching opposition defences this way and that. Nolito and Raheem Sterling at City are playing similar roles to Liverpool’s Roberto Firmino (when he plays from the left) and Sadio Mane. Philippe Coutinho often plays on the left for Klopp, but he’ll regularly drop into a similar position to the one David Silva occupies for City. Coutinho and Silva are the creators, and once the ball has been won back, their quick thinking and ability to play in tight spaces is vital. Klopp sees Coutinho as one of his side’s most important players, and speaking on Sky Sports’ Monday Night Football panel, he also commented on his admiration for Silva’s style of play. “I like David Silva – he is a wonderful player, he’s everywhere. He’s so skilled and he has a wonderful attitude,” praised Klopp. Ahead of them, the lone forward will regularly drop deep to link the play and one of the wide players will often take his position. 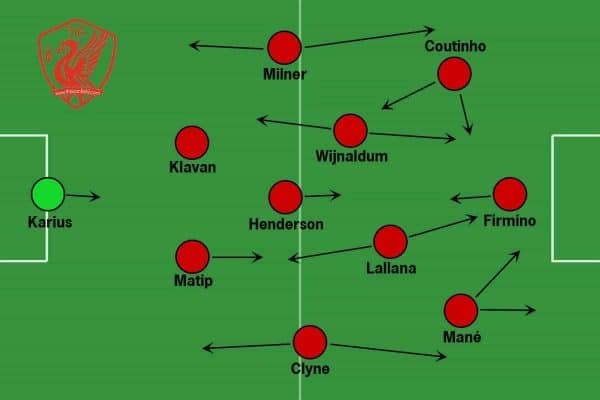 When Firmino plays as a false nine, Mane will often cut inside to play up top. Similarly at City, Sterling and Nolito have seen plenty of goalmouth action thanks to the movement of Sergio Aguero or Kelechi Iheanacho. The screenshots below, via StatsZone, show how Sterling and Mane take a lot of touches out wide but have the biggest impact on the game when they move into the centre. Goals and assists are indicated by yellow arrows. Daniel Sturridge has also developed the ability to operate well between the lines for Liverpool, and Iheanacho looks like he could become the Nigerian version of Sturridge for Guardiola’s side. From back to front, the players of both sides are well drilled in the methods of their managers’ madness. It’s a fascinating time to be a follower of either side, or indeed to be a follower of the Premier League. Both managers — along with, to a certain extent, Mauricio Pochettino, Eddie Howe, and Ronald Koeman — bring a much-needed element of tactical innovation and forward thinking to the division. Not since Arsene Wenger joined Arsenal have commentators, fans, and pundits been thinking outside the box as these managers challenge the clichés. While some of their ideas may have been borrowed and absorbed from great football brains of the past, the changes they continue to bring to the game via their own take on these concepts will be prominent chapters in the story of football’s evolution. The effect they have at their clubs will linger long after they leave, and at least one of them will make a lasting impression on the Premier League as a whole.